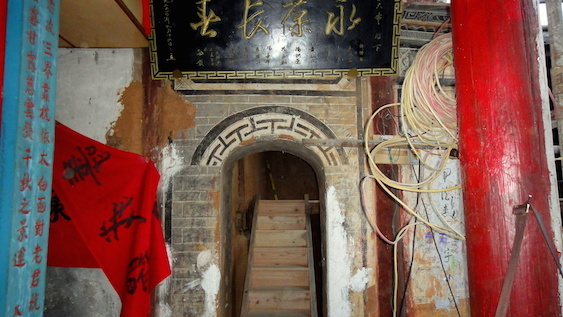 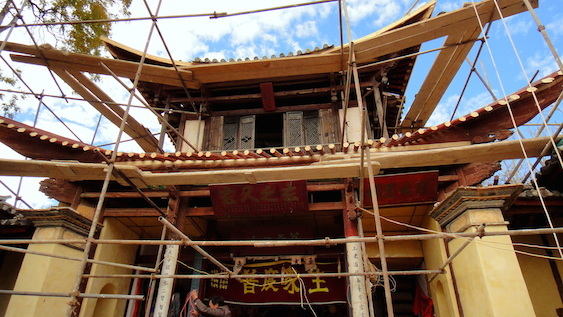 If you want to restore a crumbling Chinese temple, start with the understanding that it would be cheaper to build a new one from the ground up. 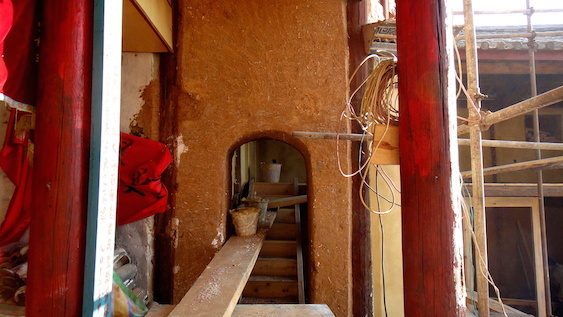 This restoration project total investment is now over $100k USD and we’re far from done, though about half of the major structural work will be done by Christmas, just a week away. 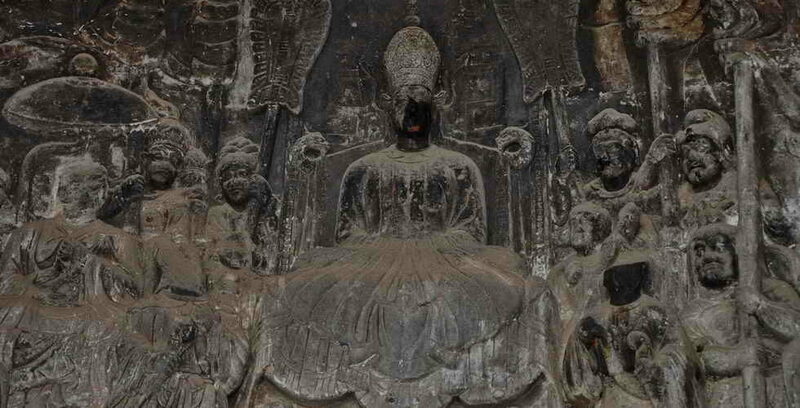 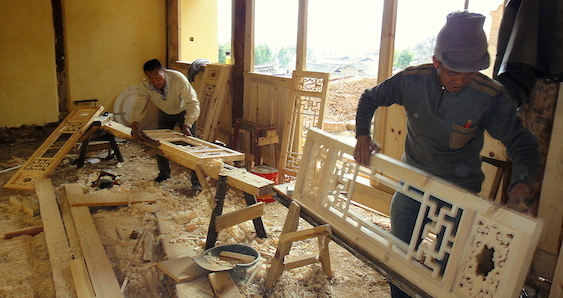 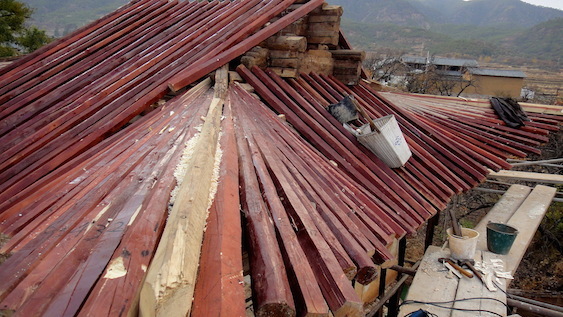 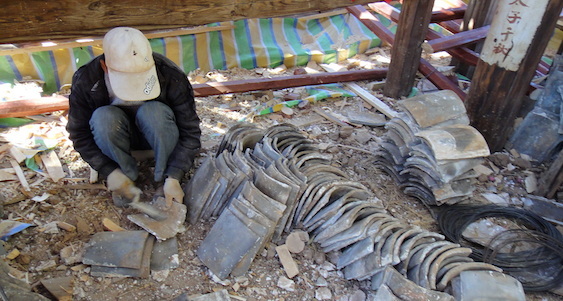 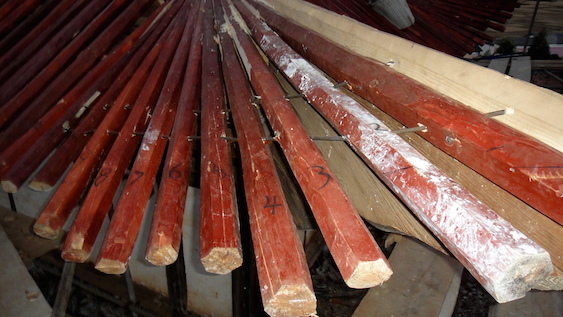 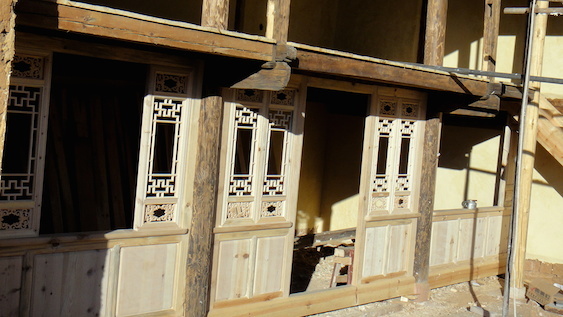 In total, we have replaced every floor, roof and nearly every window of the original Ming Dynasty era Shaxi temples. 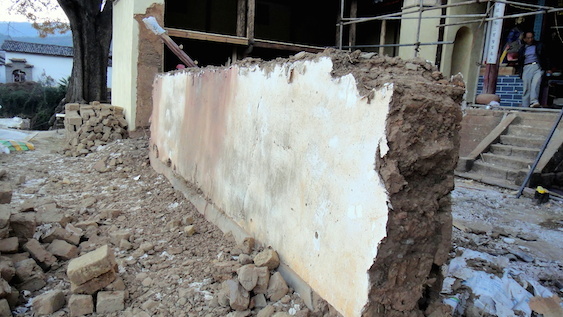 This week we demolished a 10m long wall opposite the Sakyamuni Buddha altar, which was leaning in and near collapse. 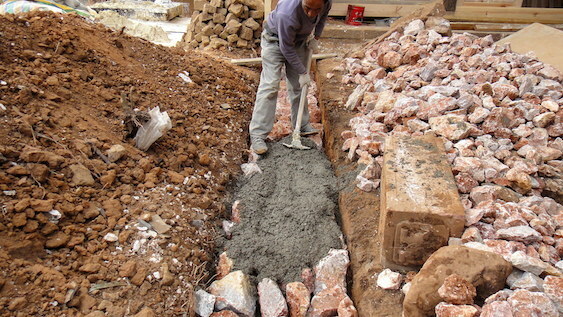 The original wall was build on a stone footing, which had subsided, so like all of the work undertaken by Mr. Yang’s team, we decided to make the new wall much stronger. 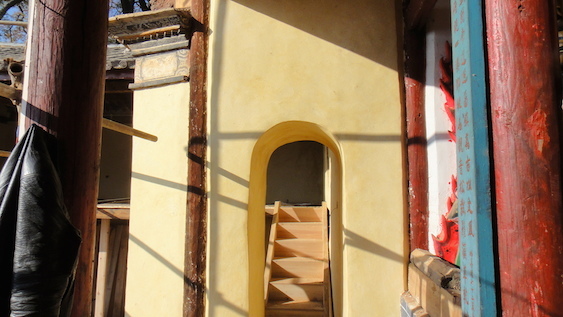 We used as much of the existing stone as we could salvage, combined with some new stone to fill a trench which we then stabilized with cement. 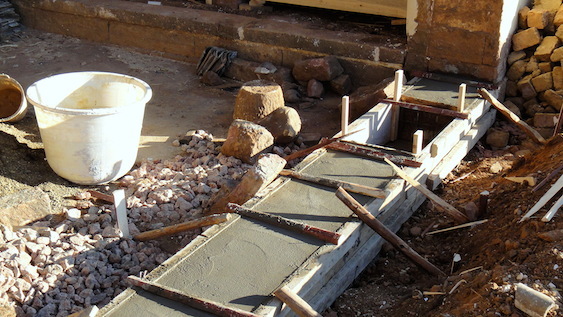 This new foundation will provide enduring support for the rebuilt rammed earth wall to replace the old one. 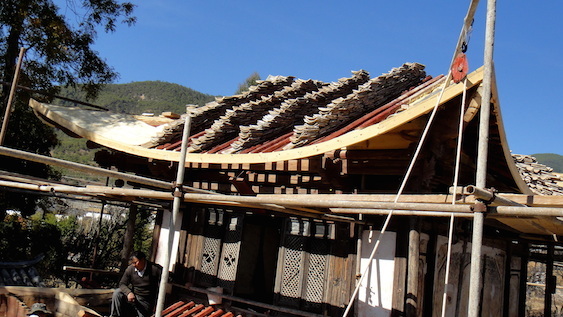 The rest of our work this week includes completely new roof beams and struts for gables on the Jade Emperor roof, door and window panels for the ground floor of the nun’s quarters, replacing tiles on that roof and pouring new floors for qing brick pavers. 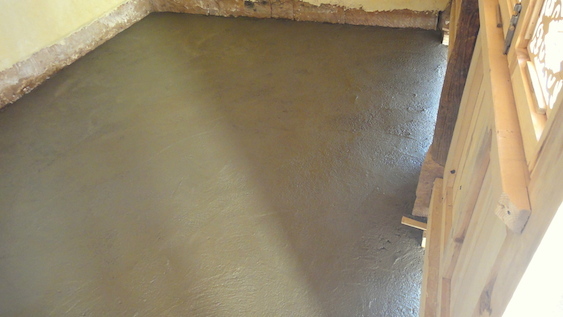 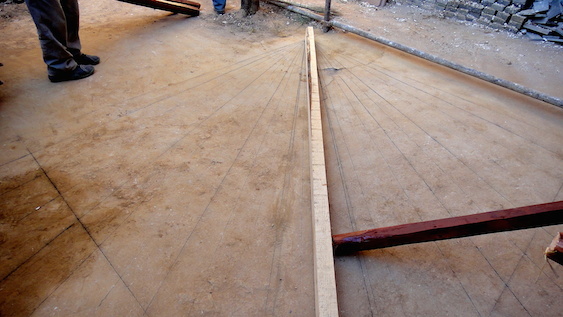 Cement flooring for nun’s quarters to prepare for qing brick pavers. 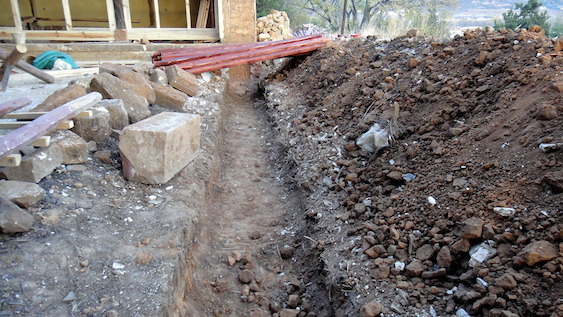 This was previously tamped earth of which we dug out and removed over three cubic meters on each side.